Business student Zhanpeng Lim and his business partner, Wenhao Xie, have launched Stradents, a new Gumtree-style selling webpage aimed at University of Southampton students. The business, founded earlier this year, aims to enable students to purchase and sell their household items. Students can sign up for free to list the items they want to sell or purchase, listing the contact details they are happy to share as well as their University of Southampton email address. 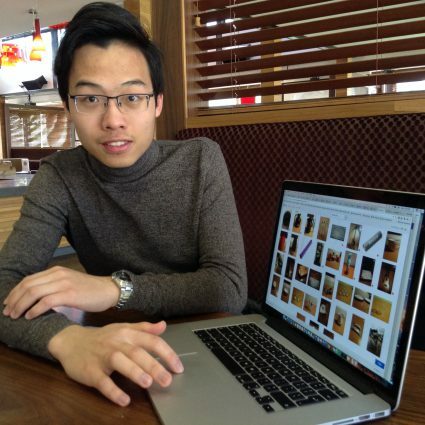 Zhanpeng explains, “We came up with the idea for the business last summer because as international students, we found that it could be very expensive to buy all the household equipment needed in the UK and it was far too expensive to ship from home. The site is designed to help students get everything they need and to give them a chance to make a bit of cash selling anything they no longer need”. The site currently has an English and Mandarin language access which the founders hope to expand as the number of registered users grow. “We hope to expand to all unis in the UK by the end of next year and as our membership grows, we will look to add more languages to make our site more accessible to students. We’re currently working with Future Worlds to produce a video to market the project”, comments Zhanpeng. “If any students are interested in volunteering with us to build up their work experience, we would love to hear from them”.